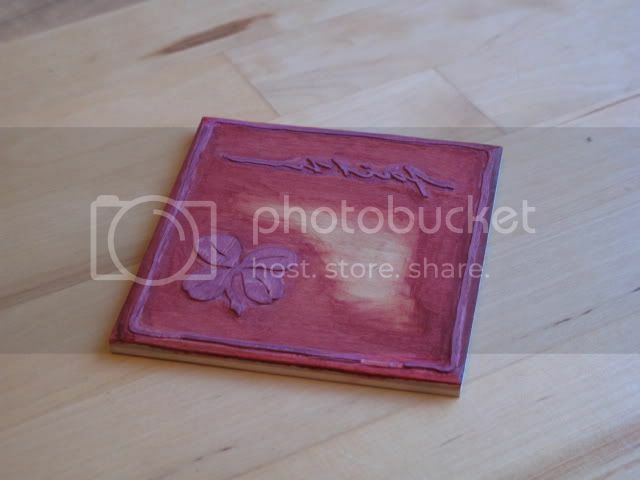 I used shina plywood (from iMcClains: http://www.imcclains.com/catalog/blocks/shina.html) for my first moku hanga testboard. What surprises me is that the outer wood layer is so thin as you can clearly see in the photo on their site. Its less than 1 mm thick, maybe closer to 0,5 mm. I found that I had to carve deeper than the outer veneer, especially in larger cleared areas, and the wood easily chips off in the glue layer. Because I didn't carve deep enough in the first place, I guess. Would it not be better to have a thicker outer layer so that you did not have to cut through the glue and into the next layer of wood? Because there are no longer any 'real' block-making craftsmen here in Japan, I use the hard-wood laminated stuff made by Matsumura-san. The top layer is around 4~5mm thick, and from the point of view of the knife, is just like 'the real thing'. But of course, it is expensive, and very heavy to ship overseas. If I were living in North America, I think I would setup a little operation making these things. It wouldn't be too difficult: high quality baltic ply for a core, with a lamination on top bonded under a hydraulic press, and then fine sanding with a large belt sander (final pass under a water spray - which is what Matsumura-san does). For the choice of what wood to use as the top layer, cherry would be the choice for anything needing fine line work, and magnolia for the colour blocks - it's easy to cut, yet has good body for laying down smooth colour, unlike a lot of 'white' woods like poplar, shina, etc. Seems to me that with all the interest in doing woodblock printmaking these days, this is a great little business opportunity just sitting there waiting for somebody to grab it!